Lahore always has been a famous city. So we can not ignore some of the famous books on Lahore. The following books are most reviewed books on historical condition of Lahore. The ancient whore, the handmaiden of dimly remembered Hindu kings, the courtesan of Mughal emperors’, the ‘Paris of the East’, Lahore is more than the grandeur of Mughal forts and gardens, mosques and mausoleums; the jewel colours of everlasting spring. It is also the city of poets, the city of love, longing, sin and splendour. This anthology brings together verse and prose: essays, stories, chronicles and profiles by people who have shared a relationship with Lahore. From the mystical poems of Madho Lal Hussain and Bulleh Shah to Iqbal’s ode and Faiz’s lament, from Maclagan and Aijazuddin’s historical treatises and Kipling’s ‘chronicles’ to Samina Quraeshi’s intricate portraits of the Old City and Irfan Husain’s delightful account of Lahori cuisine, City of Sin and Splendour is a marriage of the sacred and profane. While Pran Nevile paints a vivid sketch of Lahore’s Hira Mandi, Shahnaz Kureshy brings alive the legend of Anarkali and Khalid Hasan pays a tribute to the late ‘melody queen’ Nur Jehan. 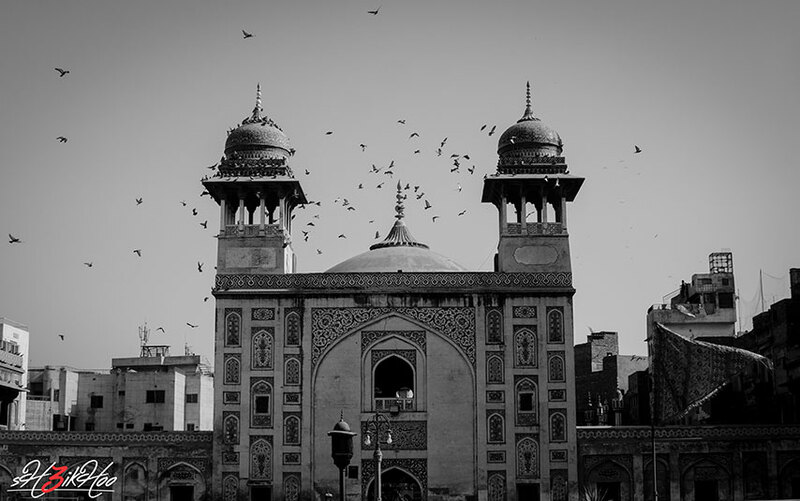 Mohsin Hamid’s essay on exile, Bina Shah’s account of the Karachi vs Lahore debate and Emma Duncan’s piece on elections are essential to the understanding of modern-day Lahore. But the city is also about Lahore remembered. Ved Mehta and Krishen Khanna write about ‘going back’ as Khushwant Singh writes about his pre-Partition years in Lahore. Sara Suleri’s memories of her hometown, the landscapes of Bapsi Sidhwa’s fiction, Khaled Ahmed’s homage to Intezar Hussain and Urvashi Butalia’s Ranamama are tributes to memory as much as they are tributes to remarkable lives and unforgettable places. Including fiction old and new—from Manto and Chughtai to Ashfaq Ahmed and Zulfikar Ghose; Saad Ashraf and Sorayya Khan to Mohsin Hamid and Rukhsana Ahmad, City of Sin and Splendour is a sumptuous collection that reflects the city it celebrates. Aijazuddin, who, in researching this book, followed the route opened by T.H. Thornton and J. Lockwood Kipling in 1876. But working from a bedrock of literary sources did not lead to an easily accessible collection of engravings, prints and illustrations. Many of the original water colors, drawings and other works by amateur and professional artists in this book come from British collections such as the India Office Library, The National Army Museum and the Victoria and Albert Museum. These are supplemented by a collection built up by the author and his wife over a decade of searching. All the visuals are complimented by historical notes that help to create an integrated view of Lahore of the 19th century, of which so many adventurous and romantic accounts exist. “Anyone intending to write the history of Lahore requires the tenacity of a mountaineer” claims F.S. Som Anand spent his childhood and youth in Lahore where his father Faqir Chand Anand was a respected banker. Som grew up totally free of religious communalism because he consorted with who shared his world view. When Partition took place the Anands decided to stay on in Model Town and Som was a witness of the communal excesses which took place at the time. In this loving and sensitive memoir which recalls a pre-partition Lahore of harmony and peace Sam seeks to restore his spiritual link with the great city of his childhood. In Model Town the suburban hideout of the wealthy aristocracy the Hindus and Muslims lived in social isolation from each other but were friendly. In Icchra Lahore’s suburban village Som consorted with the followers of Allama Mashriqi. In the inner city he mixed with the Fakirs of Fakir Khans. He saw Ataullah Shah Bukhari calm down a crowd that had just broken the head of Zafar Ali Khan the editor of Zamindar. He was friendly with the Bedis and knew Englishwoman Freda Bedi who wrote her book about Punjabi women while she waited for her communist husband to be released from prison. The book is full of anecdotes and stories which should both delight and sadden many people across both sides of the historical divide. This book is not an historical dissertation. It is simply a collection of various episodes from the days the author spent in Lahore. He first came into contact with the city in 1927. Since then, he has witnessed its growth and, in certain areas, its deterioration. There may not be a logical sequence in the narration of events, for they represent diverse impressions and experiences. Yet they make a whole, as scattered landmarks in a city – some even miles apart – do. In no way were these essays designed to reflect only the elite life of a metropolis, for the author himself is a commoner, nor was the book designed to bring back the past, for Lahore is a city of the future as well.‘Lahore: A Memoir‘ is about the ‘half-century’ of a city that greatly contributed to all political and cultural movements in the sub-continent during the most momentous years of its history. The Author: Muhammad Saeed, born 1911, at Kalaswala, Sialkot District, was educated at Islamia College Lahore and Aligarh Muslim University. He is a journalist who has worked with daily Shahbaz, Dawn, The Times of Karachi, The Civil & Military Gazette, and The Pakistan Times, which he edited in 1979. He is the author of ‘Ahang-i-Bazgasht‘ an autobiography that describes the subcontinent’s independence struggle and ‘Bahazrat-i-Dost‘, a collection of speeches at various fora. The book, sentimental Journey of Lahore reminds people of what Lahore was really like before the independence of Pakistan in 1947, the way Hindus, Sikhs and Muslims lived ensemble. He gives the reader a taste of what Lahore is really like. His book reminisces his childhood memories and gives an opportunity to the reader to see Lahore through the author’s eyes. Pran Nevile further explains how things became inevitable due to the conflict that was created by the British Empire. The book covers all aspects of Lahore from its rich culture, Mughal architecture, to warm welcoming people. His whole purpose was to remind people about the city of Lahore and revive the love he has in others’ hearts. Nevile being a diplomat apprised in different countries the rich and exotic culture of Lahore. As the author says “I have traveled around the world but there is not a city like Lahore, the adage “Lahore Lahore hay” perfectly describes it ‘’ Pran Nevile. Pran Nevile (born October 22, 1922) is an Indian author of Art, Culture & History renowned for the 1992 book, Lahore – A Sentimental Journey. Nevile‘s birthplace was Lahore and he completed his degree from the Government College of Lahore. He worked for the Indian Foreign Service and the United Nations. Due to his work, he got the privilege to work in Japan, Poland and Yugoslavia, former USSR and USA. He has also worked as the Director of the State Trading Corporation, Program Co-coordinator with the United Nations Conference on Trade and Development in Geneva looking after East Europe and in-charge of 7 countries in East Europe. “There was a reason for that. I didn’t want to disturb my images and memories of this city before my book was completed.’’ “My friend (the late) Khalid Hasan used to call me ‘Chalta Phirta Lahore’, like people used to call ‘Manto Chalta Phirta Bombay’,” he said. Many who like myself, have read with pleasure the articles on “Old Lahore” which have appeared from Colonel Goulding’s pen in the Civil and Military Gazette during the last two years, will greatly appreciate having these articles in pamphlet form for reference and I hope that, in this form, the articles may reach wider public. To me these reminiscences are particularly interesting, as my own earliest recollection of Lahore, somewhat hazy recollections, I must admit, go back to 1870, and my family connection with Lahore goes back to 1846, when my father, as a young Engineer officer, occupied quarters over the Hazuri Bagh gate of the Fort. The “Old Lahore” of which Colonel Goulding’s writes is mostly of later date than this, and much of his recollections deal with things of a comparatively recent past. But our memories of what has happened even in our own times are very short-lived, and Colonel Goulding’s has done a great service to lovers of Lahore by placing on paper the information he has given us, more especially that relating to the European community stationed in this place. He has always taken a special interest in the early documents of our Government offices, and he has himself, by his long connection with the Volunteer movement and with the official and municipal work of Lahore, played for many years a prominent part in the social and official life of the place. There is already a road in the Civil Station named after him, and this little pamphlet will also, I hope, serve to link up his honored name with the history of the station in which he has lived so long. “OLD LAHORE.” from the destined walls Of Cambala, seat of Cathian Ca, And Samarchand by Oxus, Temir’s throne To paquin of Sinaean Kings ; and thence To Agra and Lahore of Great Mogal. Paradise Lost, Bk. XI, I. Oft in the stilly night, Ere slumber’s chain has bound me, Fond memory brings the light Of other days around me. (Old Irish Song.) When the first of the “Reminiscences” appeared in the issue of the Civil and Military Gazette dated September 22, 1922, it was not my intention that they should continued as a series, nor had I the ambition to see them reprinted in pamphlet form; but, encouraged by the hospitality of the Editor, I went on jotting down my recollections of “Old Lahore’ in the rambling form in which they appeared from time to time in memory, except where references have been given to official records, historical works and diaries. Printed in 1860 for private circulation, these excellent summaries of the history of Lahore were embodied in 1876, in a guide-book, the joint work of Mr. Thornton and Mr. J. Lockwood Kipling then Principal of the Lahore School of Art. This useful little book, which was published by Punjab Government Press, has been long out of print. A map of Lahore the latest official map published by the Survey of India, Map Department, will be found in the pocket of this pamphlet. The dancing girls of Lahore inhabit the Diamond Market in the shadow of a great mosque. The twenty-first century goes on outside the walls of this ancient quarter but scarcely registers within. Though their trade can be described with accuracy as prostitution, the dancing girls have an illustrious history: Beloved by emperors and nawabs, their sophisticated art encompassed the best of Mughal culture. The modern-day Bollywood aesthetic, with its love of gaudy spectacle, music, and dance, is their distant legacy. But the life of the pampered courtesan is not the one now being lived by Maha and her three girls. What they do is forbidden by Islam, though tolerated; but they are gandi, “unclean,” and Maha’s daughters, like her, are born into the business and will not leave it. Sociologist Louise Brown spent four years in the most intimate study of the family life of a Lahori dancing girl. With beautiful understatement, she turns a novelist’s eye on a true story that beggars the imagination. Maha, a classically trained dancer of exquisite grace, had her virginity sold to a powerful Arab sheikh at the age of twelve; when her own daughter Nena comes of age and Maha cannot bring in the money she once did, she faces a terrible decision as the agents of the sheikh come calling once more. 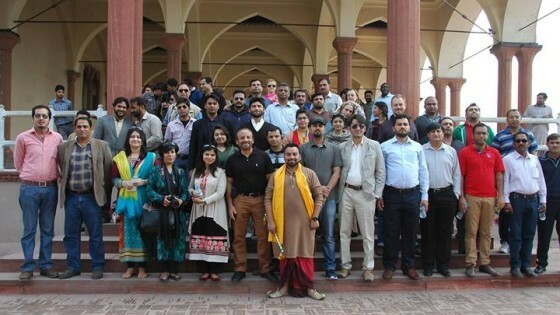 “During the course of my journey, many of the people I met in Pakistan and India expressed a curious combination of affection, indifference, and animosity toward their neighbors across the border. . . . The border divides them but it is also a seam that joins the fabric of their cultures.” On 15 August 1947, in what some have argued was the final, cynical act of a collapsing empire, the British left India divided. Arbitrary borders that have profoundly affected the recent history of the subcontinent were drawn upon the map of India. In the violence that accompanied Partition, it has been estimated that close to a million people were killed and more than ten million uprooted and displaced. The hatreds created by what was one of the largest mass migrations in history only exacerbated the religious tensions that originally led to Partition. Since then, India and Pakistan have fought three devastating wars, and the danger of armed conflict is constant. A sensitive and thoughtful look at the lasting effects of Partition on everyday people, Amritsar to Lahore describes a journey across the contested border between India and Pakistan in 1997, the fiftieth anniversary of Partition. Setting out from and then returning to New Delhi, Stephen Alter crossed the border into Pakistan, retraced the legendary route of the Frontier Mail toward the Khyber Pass, and made his return by bus along the Grand Trunk Road, stopping in major cities along the way. During this journey and another in 1998, Alter interviewed people from all classes and castes: Hindus, Muslims, and Sikhs, men and women. In candid conversation, the older generation who lived through the events of 1947 shared their memories and opinions of that pivotal moment of Partition, while youths who have inherited the fragments of that past reflected upon the meaning of national identity. In an engaging account of peoples and places, Alter documents in evocative detail his meetings with varied individuals. He recalls the Muslim taxi driver who recognizes an air of confidence with which men in Pakistan walk the streets dressed in salwar kameez; the brigadier who saved the brass insignia of the British crown from Lord Mountbatten’s Rolls Royce; gold merchants, customs officers, fellow travelers, musicians, and many others. Alongside these diverse and vivid interviews, chance conversations, and oral histories, Alter provides informed commentary to raise questions about national and individual identity, the territorial imperatives of history, and the insidious mythology of borders. Offering both the perspective of hindsight and a troubling vision of the future, Amritsar to Lahore presents a compelling argument against the impenetrability of boundaries and the tragic legacy of lands divided. Stephen Alter is Writer-in-Residence in the Program in Writing and Humanistic Studies at Massachusetts Institute of Technology. An accomplished writer in both fiction and nonfiction, he is the author of four novels and the memoir All the Way to Heaven: An American Boyhood in the Himalayas. This is a reproduction of a book published before 1923. This book may have occasional imperfections such as missing or blurred pages, poor pictures, errant marks, etc. that were either part of the original artifact, or were introduced by the scanning process. We believe this work is culturally important, and despite the imperfections, have elected to bring it back into print as part of our continuing commitment to the preservation of printed works worldwide. We appreciate your understanding of the imperfections in the preservation process, and hope you enjoy this valuable book. ht picture: essays, stories, chronicles, and profiles by people who have shared a relationship with Lahore English thought picture. From the mystical poems of Madho Lal Hussain and Bulleh Shah to Iqbal’s ode and Faiz’s lament; from McLagan’s and Aijazuddin’s historical treatises and Kipling’s ‘chronicles’ to Samina Quraeshi’s intricate portraits of the Old City and Irfan Husain’s delightful account of Lahori cuisine, Beloved City is a marriage of the sacred and profane English thought picture. Significant Pakistani writers like Intezar Hussain, Aamer Hussain, Kishwar Naheed, Bapsi Sidhwa, Sara Suleri, and Ashfaq Ahmed have also contributed to this volume English thought picture. Who is Adil Lahorei and what is ALCC ?